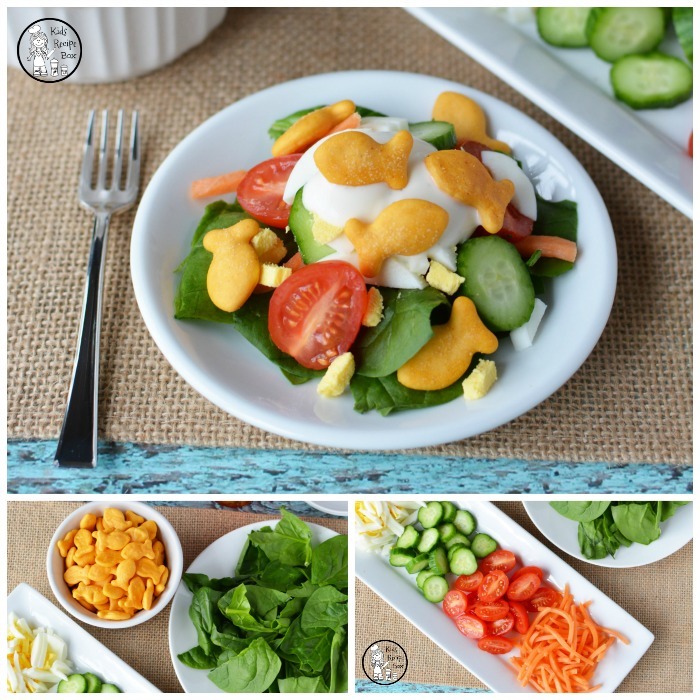 Are you looking for a kid friendly salad recipe? 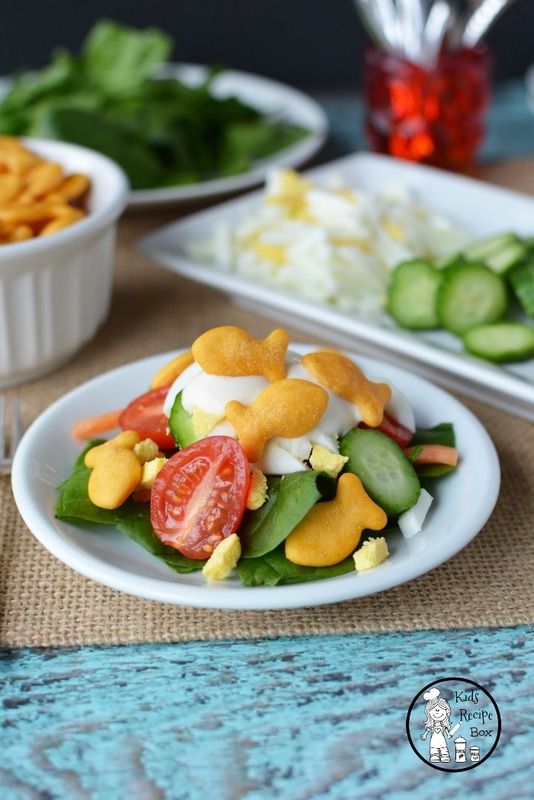 Try this mini salad bar with goldfish croutons. 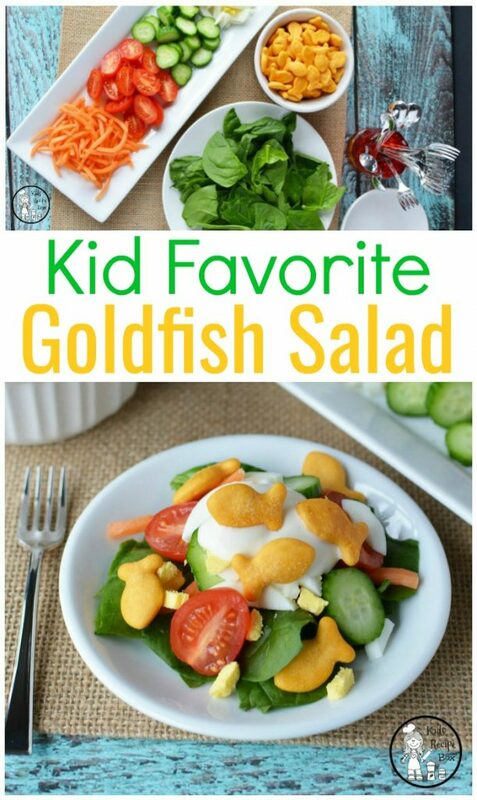 Salad greens look a lot more appetizing when they are swimming with crunchy yellow fish. 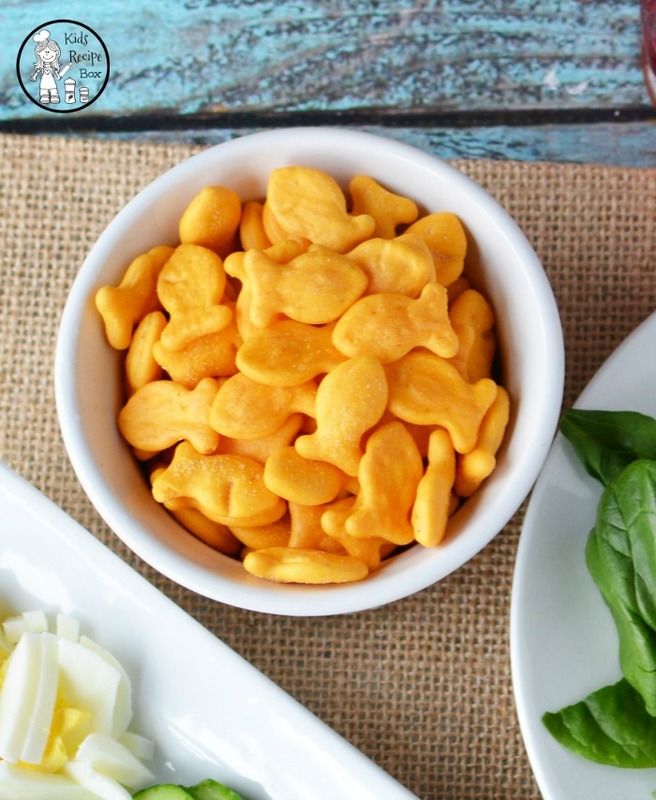 A mini salad bar not only combines all things mini and goldfish, but also allows the kids to create the meal themselves – which is another favorite on their lists! Miniature plates and mini forks are all you need to get started. Both of these are pretty easy to find. Think tasting plates at Pier One, if you want to invest a little money or small appetizer plates from Dollar Tree, if you want a more affordable option. Tea party sets are also a possibility if they ARE suitable for food- just check the box. The small appetizers forks shown in this post were purchased at the Dollar Tree. The next item on the list is salad ingredients. This is the magic part- you can put any veggie that you want on the list and those kids will gladly put it on those tiny plates. Have their favorite salad dressing ready and these kids will be smiling from ear to ear. 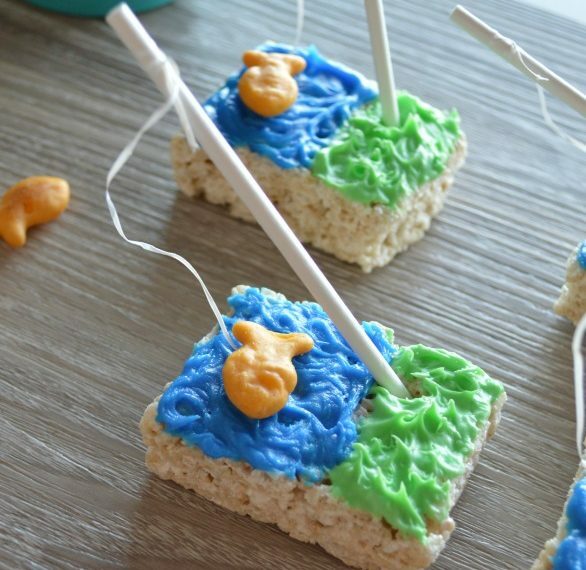 Then for the finishing touch…goldfish crackers! 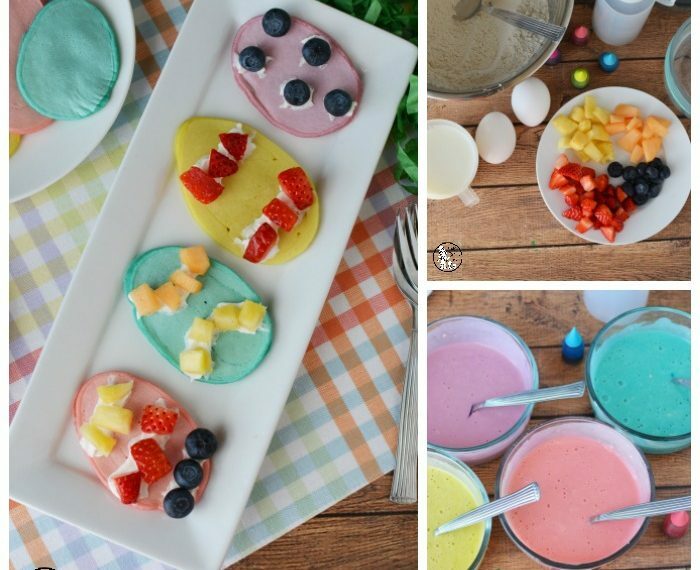 Feel free to add any vegetables that you think your children might enjoy. This list is only a suggestion. 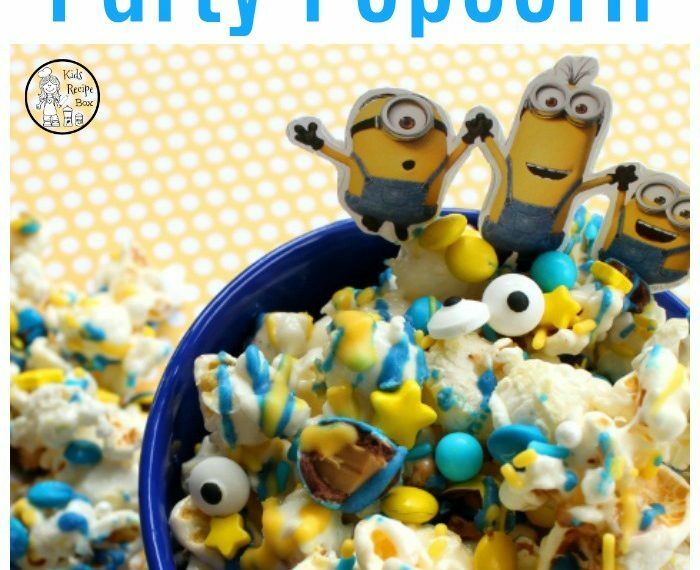 Place all ingredients onto a platter. 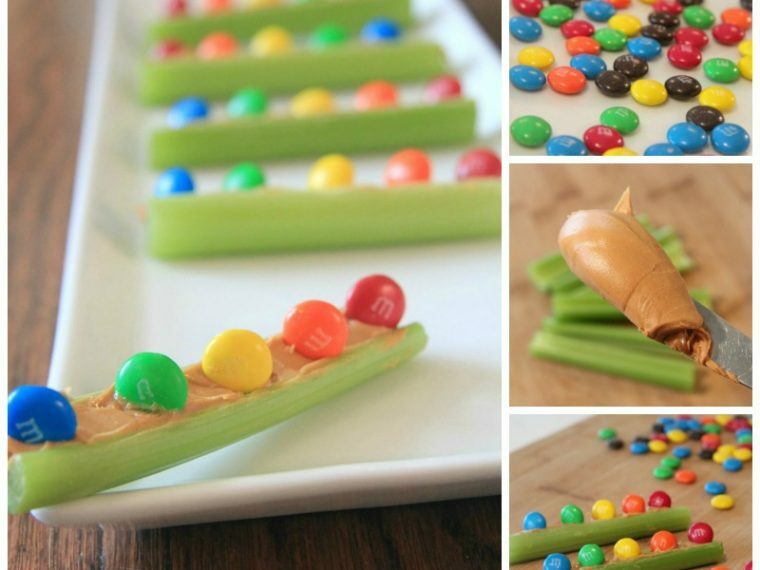 Have kids build their own salad. 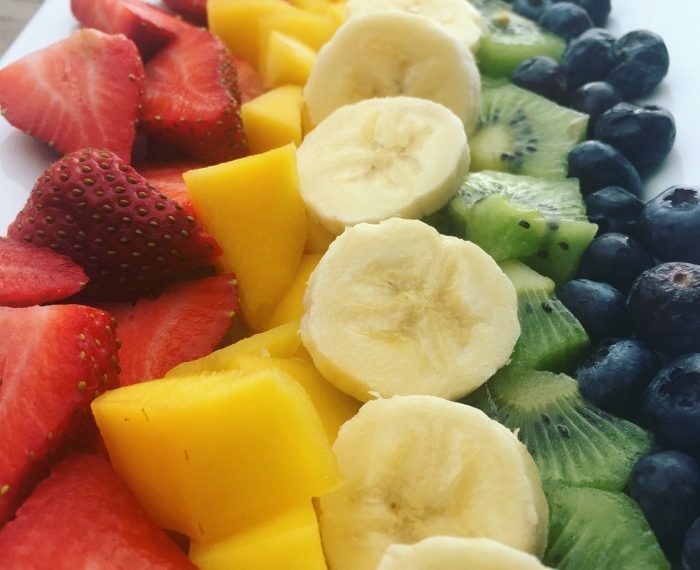 Begin with the greens and follow with toppings. Add dressing and goldfish cracker croutons. Serve with small tasting forks and a drink. Sit back and watch your kids enjoy. Who knows…they may even come back for a second helping! 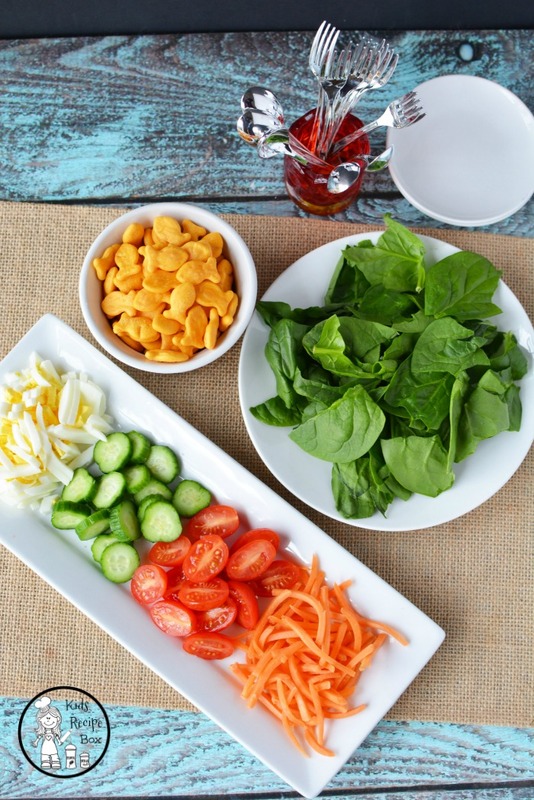 We hope you’ve enjoyed this kid friendly salad recipe, and we’d love to hear how you encourage your children to eat salad. Leave a comment below, or visit and chat with us on Facebook.